Many folks overlook early goose season in the Carolinas, but that's not true for Blake Hodge and the rest of Team Wrecking Crew. Throughout much of the Carolnas, deer hunting and dove hunting seasons are now open. 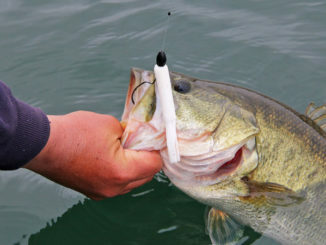 The saltwater fishing is also going strong, and as bass begin their fall transition, catfishing is going strong on most of the lakes and rivers. And in all this, another season that is also open, but often overlooked, is the early Canada goose season. It is quite possibly the best kept secret in the outdoors world. The early goose season runs through the last weekend of September, and it usually comes in and goes out with little fanfare, thanks to a number of factors. 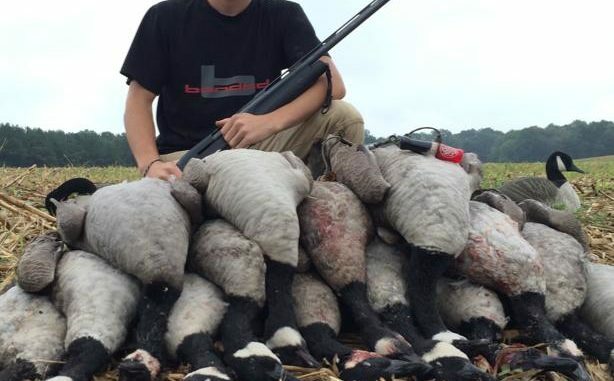 “It’s still really hot, football season has started, many folks are hunting deer and doves, and most people just aren’t in the habit of hunting geese so early in the year,” said Lancaster, SC’s Blake Hodge of Wrecking Crew Guide Service (803-320-3477). But Hodge said a lot of positives are in place for those who do pursue the big birds this time of year. “Probably the main difference between now and the regular waterfowl season is that you can keep 15 geese now as opposed to only five. So you can really have a lot of fun shooting and get plenty of meat for the freezer in the early season. And in most of North Carolina, you don’t have to plug your shotgun during the early season,” said Hodge. And regulations aren’t the only thing different when it comes to hunting the early season as opposed to the regular waterfowl season. “Hunting geese in the early season is a lot different, and one reason for that is the early season geese are mostly resident geese that have been here all year long, and have their own favorite places to go each day. That may change when a field is harvested, but it is possible to pattern them by watching them over the course of a few days. But it’s almost impossible to lure them in with decoys or with calling this time of year. They have their minds made up on when and where they are going to land, and there’s really not a whole lot you can do to change that. “Scouting is much more important in the early season. You can identify different groups of geese and then make a note of where each group spends most of their time. They are much more territorial than the geese we’ll hunt later in the year, and decoys can literally push them away from landing where they normally land instead of attracting them,” said Hodge. Another popular way to hunt geese in the early season is by taking a shotgun along while fishing farm ponds from johnboats or canoes. That’s how John Catarino of Lumberton, NC spends many evenings this month. 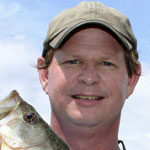 “I’ve got access to a handful of small farm ponds that range in size from an acre to about 20 acres. These resident geese spend a lot of time in these ponds and you can pattern them pretty accurately without much thought. I fish these ponds a lot all summer and into the fall, so I see the geese and know what time of day they’ll be at which ponds,” said Catarino. The bonus, he said, is that by the time early goose season opens, the birds are used to seeing him, so they don’t shy away from him, at least not until the shooting starts. “I fish out of an olive drab johnboat, and throughout the summer, I don’t pay much attention to what I wear, but I do tone down my colors once early goose season starts. Before you ever fire the first shot of the season, they’ll keep their regular distance from you but your presence won’t prevent them from coming in and landing like normal. 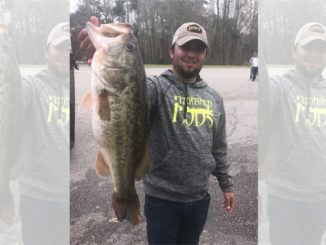 Now once you’ve killed a few of them, they’ll be more wary about you, and they’ll change up which ponds they land at sometimes, but if you give them a few days rest, they’ll go right back to their normal behavior,” he said. 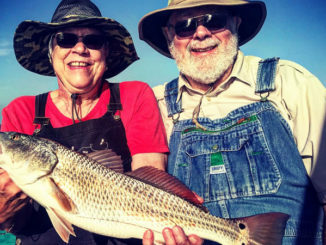 “And on some days, they won’t show up at the pond you’re on, but that just means more time for fishing, and the geese will probably come around on your next trip,” he said. Click here for North Carolina’s early goose season regulations. Find South Carolina’s regulations by clicking here.